It’s not uncommon for large companies and brands to encounter a social media crisis at some point in time. Whether it’s an immediate product recall issue, a celebrity ambassador scandal or a cyber security data leak, if it’s gone beyond the point of no return, it’s important to ensure you have the right plan in place to react and weather the storm. We asked two groups of digital marketing professionals to imagine for a moment that they work in the fast-moving world of finance. Their security team have highlighted their customers are being targeted for their personal details, including card details via one of their social media channels. Security forward them the address of the website and ask them to keep an eye out on their social media pages so they can stop online criminals from phishing for customer information, putting them at risk online. The overwhelming response at our workshop was to put a small team in place to monitor all social media accounts on a daily basis. This team would check for reports of phishing, spammers or hackers on their social pages. Speakers said they would develop and distribute best practice guidelines, informing customers on how to keep their details safe online. In addition, they would also contact the social network and notify them of the issue. As a final measue, they said they would install a moderation service to cover their company out of hours in order to further ensure the safety of their customers online. Cyber crime is expected to reach $2 Trillion by 2019 (Source: Juniper Research) and according to the World Economic Forum (WEF), a significant amount of it will go undetected. The protection of personal details is a key concern for all companies, particularly within the financial services sector, where organised crime has become much more sophisticated in its approach. 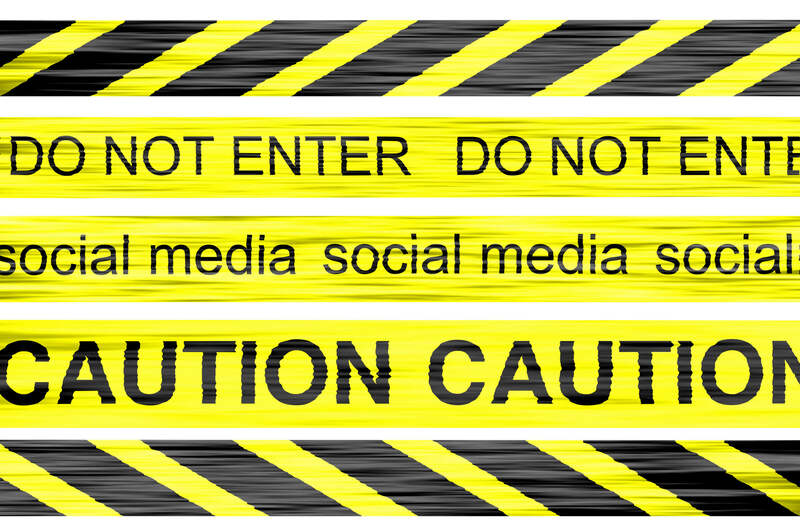 24/7 Cover: Protection of owned social channels can’t be done on a 9 to 5 basis. We then asked two more groups to imagine they work with a luxury global brand. One of their celebrity ambassadors has created a storm on Twitter and Instagram, posting a picture of themselves wearing fur. Their brand works in close partnership with a well-known animal charity, and animal activists are attacking their social pages. They have also set up defamatory social accounts, using the company name and the brand logo. What would they do? Our groups gave mixed responses to this scenario, ranging from staying quiet on social media to using the issue as a PR stunt to create more discussion around the issue and donating to the animal charity. However, there was unity amongst our attendees, who said accurate and fast detection is key, they would be keen to quickly remove defamatory comments and fake social media pages. Taking control of their own social channels by removing offensive and inappropriate content was seen as crucial to ensure their reputation was not at risk. Impersonation accounts are rife across all social channels and effective brand protection within companies is of growing importance and concern. Activist groups have really found their voice online and the wider web and social platforms allow them to conduct online campaigns, with the more sophisticated groups reaching large audience numbers online. Opinion is welcomed by all social platforms, but companies need to ensure that content becomes offensive and abusive, they can act quickly to remove content. Managing Activists: Opinion is allowed, but wrongful and harmful statements need to be removed swiftly. Finally, we asked our digital marketers to consider for a moment that a senior member of their corporate team, regarded in high esteem in the industry, had sent an inappropriate message to a junior member of staff. The email has been posted on their personal social media account and has now been widely circulated. The definitive answer from our final three groups was that 24/7 moderation service would detect any suggestive post before it was widely circulated online, protecting both staff members involved. By detecting the incident in real-time, the issue could be handed to the Internal Communications and HR teams. They could inform stakeholders and other senior members in the company about what has happened before it goes viral. All parties should be protected from significant bad press, and company policies should be revised to ensure that social media guidelines are in place to prevent this issue from ever happening again. Appropriate use of social media accounts is something that all levels of the company need training in. Social Media governance and ensuring that all employees understand privacy issues and reputational issues if inappropriate content is shared. Aside from the personnel issues that need to be dealt with, companies need to be more aware of comments made online about their key members of staff. The higher up the company hierarchy, the higher the impact to reputation. Inappropriate conversations – have a larger audience and travel faster online. To those interested in carrying on the debate and discussions started at our workshop, Crisp Thinking are hosting a series of Breakfast Briefing sessions in London in the coming months. To attend one of these events, please get in touch with our team at events@crispthinking.com or stay tuned to our twitter page @CrispThinking. « Previous post Is GDPR the Kryptonite of Kids' Sites? Next post » GDPR And Brexit: Will Safe Data Become More Important Than Big Data?